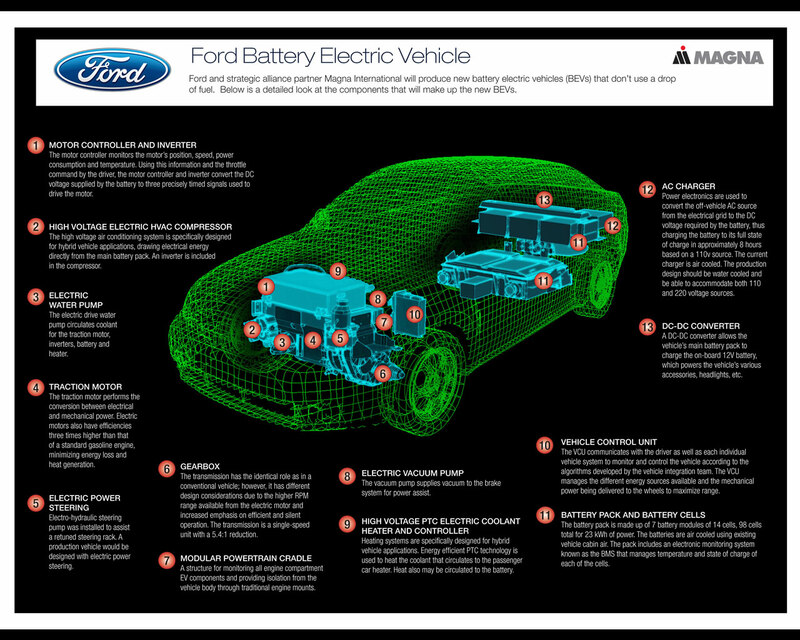 In January 2009, for the Detroit Motor Show, Ford introduced its car electrification strategy for the United Sates market. 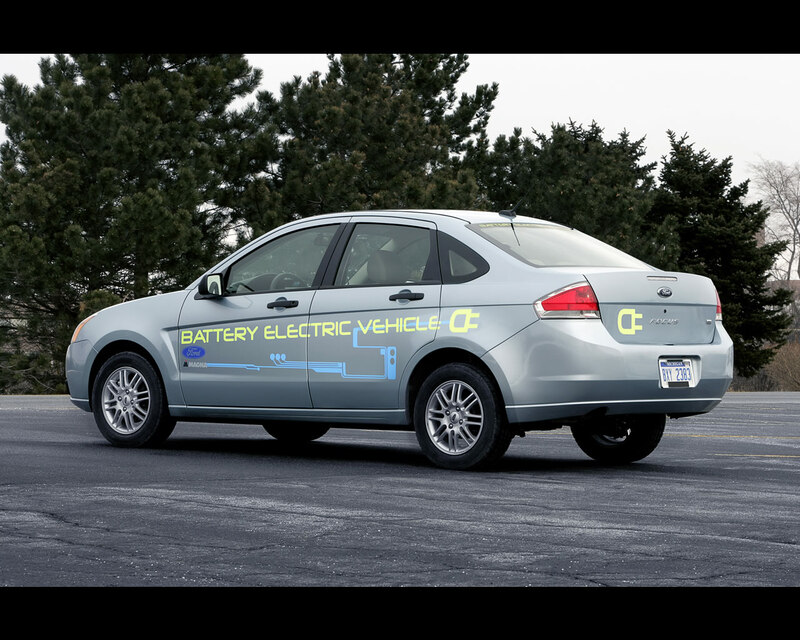 Ford has, at this occasion, announced plans to develop three distinct types of electrified vehicles: hybrid gasoline/electric vehicles, plug-in hybrid vehicles and pure battery electric vehicles. They include Battery electric Transit Connect commercial van in 2010, Battery electric Focus passenger car in 2011, next generation hybrid vehicle in 2012 and plug-in hybrid for 2012. Ford Motor Company has also announced that it will invest $ 550 million to transform Michigan Assembly Plant (formerly Michigan Truck Plant) from a large SUV factory into a modern, flexible small car plant. 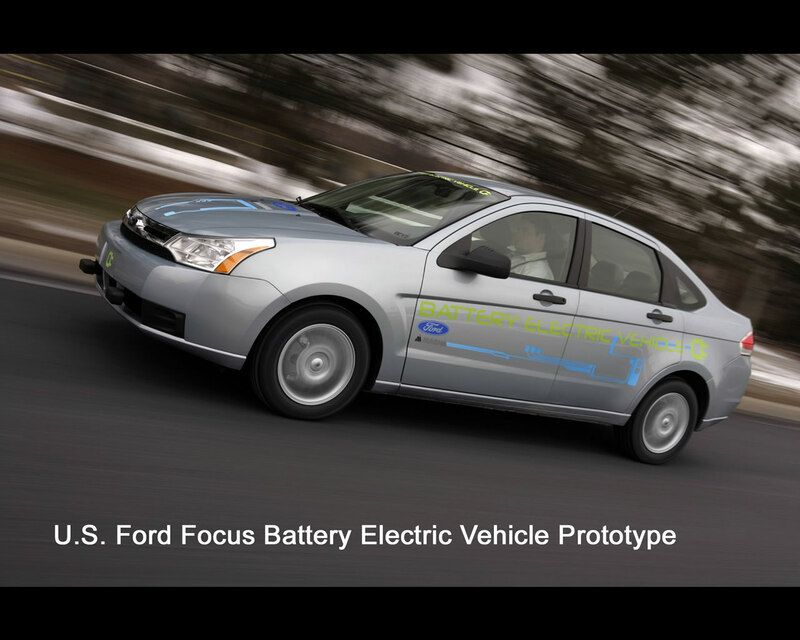 Production for the North American market of the new global Ford Focus begins next year followed by production in 2011 of a battery electric Focus. 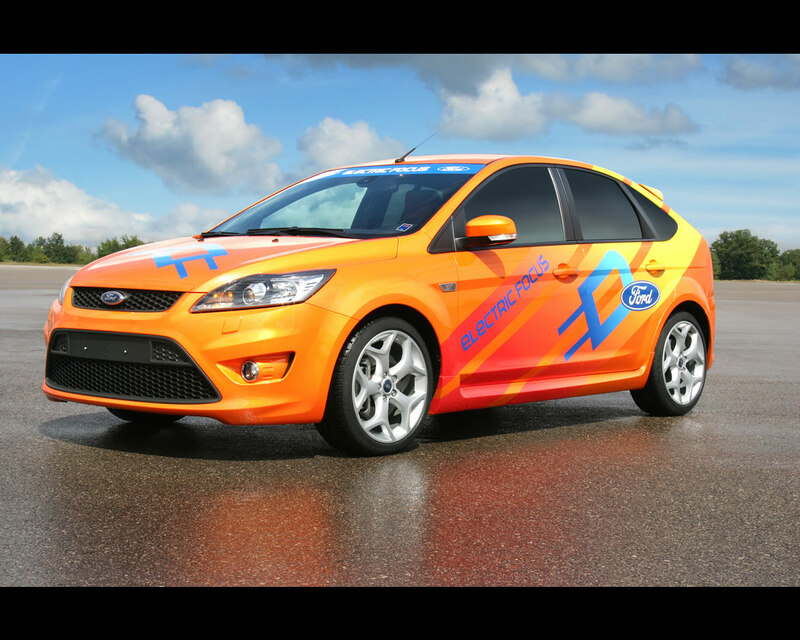 In a promotion effort for the Ford Electric Vehicle strategy, a Ford Focus ST converted to all-electric propulsion was entered in September 2009 in NBC "Jay Leno Show" in a segment they call "Green Car Challenge".The Ford Focus ST is presented in electric orange and is propelled by a 105 kW/141 hp permanent magnet electric motor and energy storage by air cooled 60 Ah Lithium-ion batteries. It will be used throughout the first season of the show, driven by celebrity guests who accept the challenge. 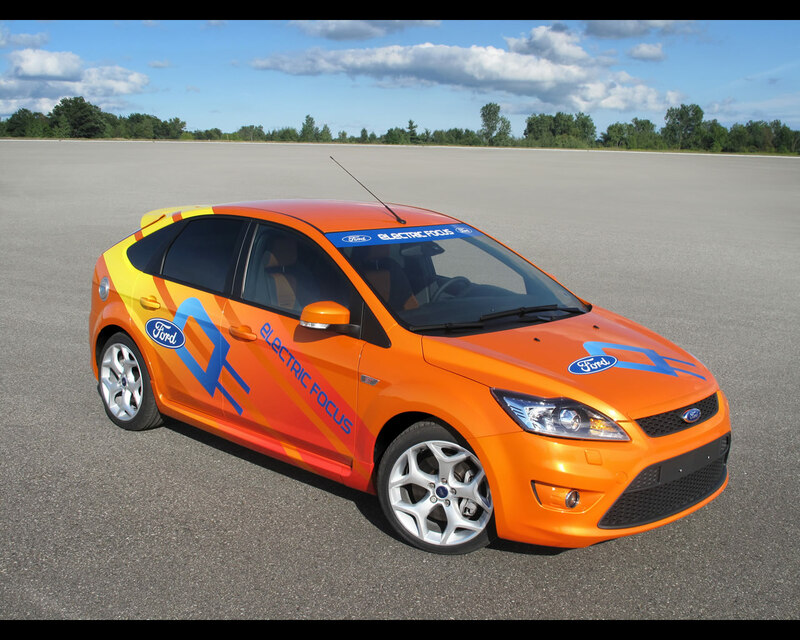 In Europe, Ford program was unveiled at the Frankfurt Motor Show in September 2009. 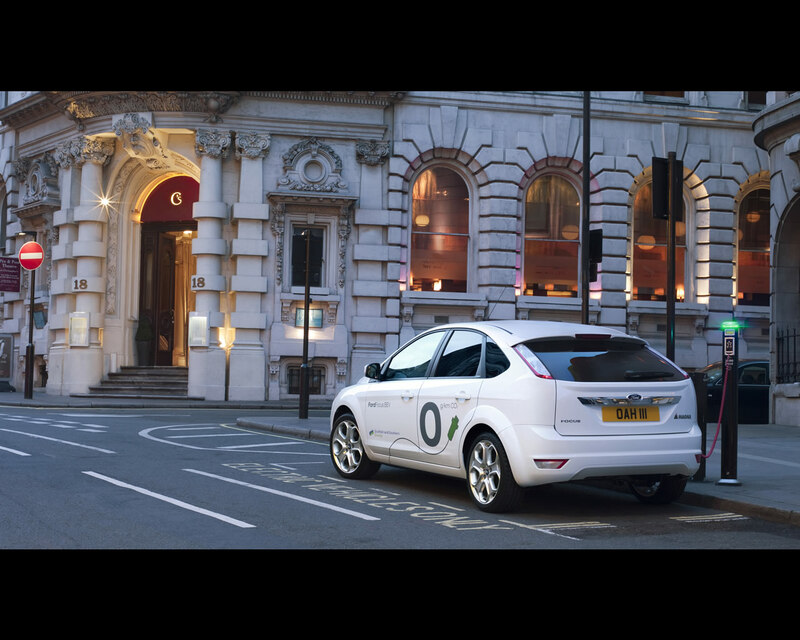 A fleet of Battery electric European Ford Focus is being prepared in the United Kingdom Government's "Ultra-Low Carbon Vehicles" demonstration initiative next year. 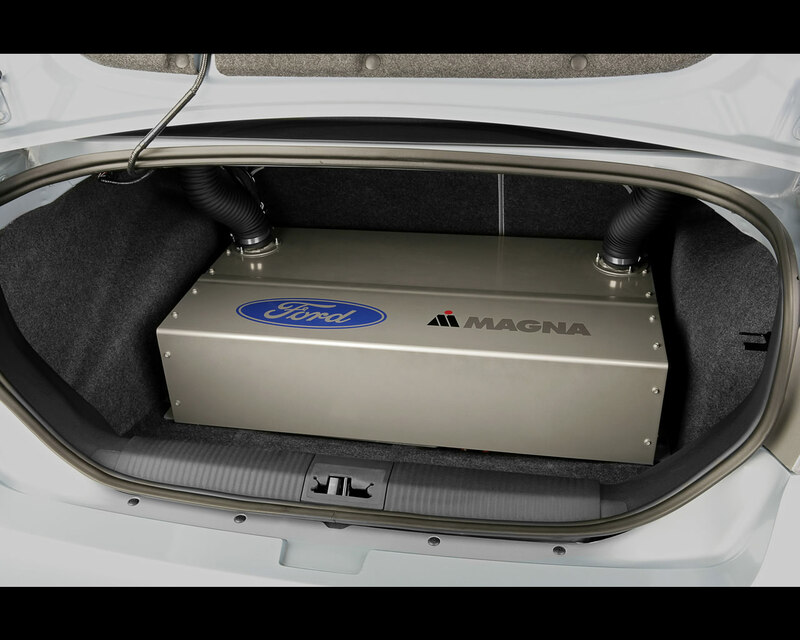 This Battery Electric Ford Focus will use a new all-electric powertrain, provided by the partnership with strategic supplier Magna. This technology is based on that being developed for Ford's new-generation C-sized global vehicle architecture and which will be launched in North America in 2011. 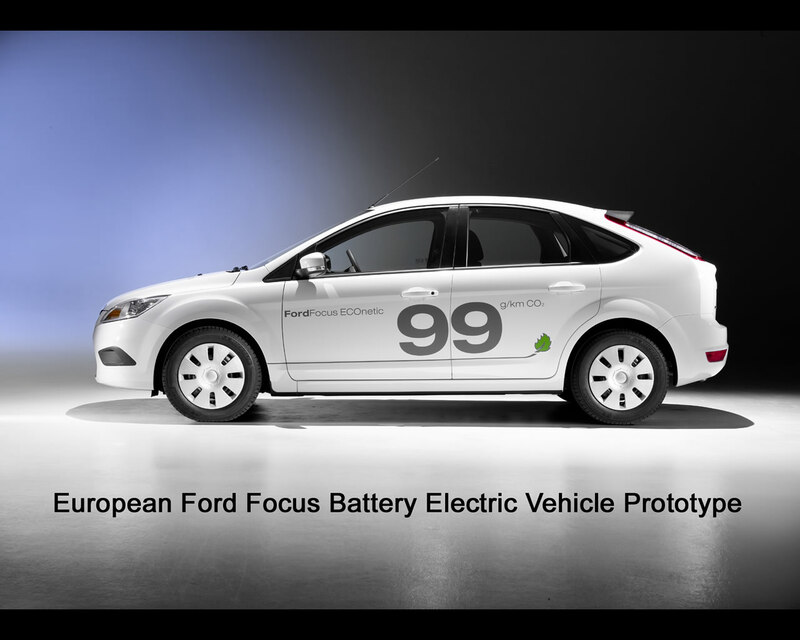 Together with the European Battery Electric Ford Focus, a Ford Tourneo Connect Battery Electric Vehicle Concept was introduced to demonstrate how Ford Motor Company's electric vehicle plan announced at the start of the year in Detroit is extending its potential to Europe. Full battery electric conversions for the Ford Tourneo/Transit Connect commercial vehicles are already marketed in Europe by UK specialist Smith Electric Vehicles. The Tourneo Connect BEV Concept shows how this silent, zero-emission full battery technology could be deployed in passenger vehicles for urban applications such as taxis or hotel shuttles. 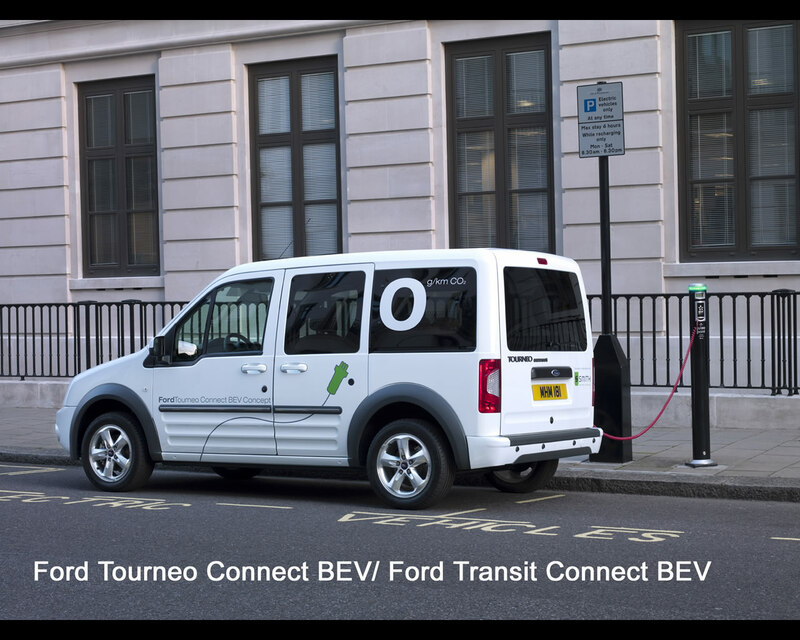 Ford of Europe and Smith Electric Vehicles are monitoring reaction to the Tourneo Connect BEV Concept to determine potential market viability. Ford has already announced in North America that it will partner with Smith Electric Vehicles (Tanfield group) to offer a Transit Connect BEV vehicle in the US market in 2010. Battery technology is at the center of the possible advent of battery electric vehicles. There has been electric vehicles for as long as automobile exist. Long charging time, limited operating range and heavy weight have kept them an exception. The 12 volt lead acid battery used in traditional automotive applications is rapidly giving way to sophisticated, higher energy and power batteries as the automobile industry shifts forward electrification. The advent of hybrid gasoline/electric vehicles spawned a new generation of batteries, making nickel-metal hydride (Ni-MH) batteries the energy storage technology of choice. The nickel used in these batteries is lighter than lead, helping the battery deliver twice the power output for the weight as lead-acid batteries, but the cost of Ni-MH batteries is four times that of lead acid. Automakers already believe they have tapped most of the potential of Ni-MH technology and are moving toward Lithium-ion technology. Lithium-ion batteries are commonplace in the world of consumer electronics, that is for laptop computers, mobile phones, cameras and other portable devices. That makes lithium-ion technology even better for use in cars of the future. right? 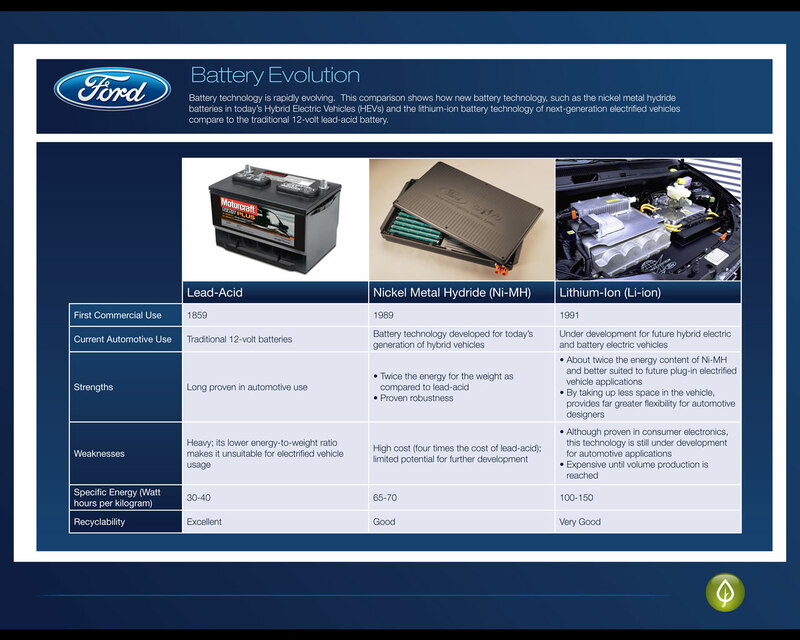 "At Ford, we believe lithium-ion batteries have incredible potential for the next-generation of electrified vehicle, and we are already using lithium-ion technology in test units for the battery electric vehicles that are part of our new electrification strategy," says Ted Miller, senior manager, energy storage strategy and research , Ford Motor Company. " But there are technical challenges we are still addressing to make lithium-ion technology work in high-volume automotive applications. There is not just one type of lithium-ion battery and several hold promise for automobile use. That is good because we know that the variant used in laptops and other mobile devices is completely unacceptable for use in cars." 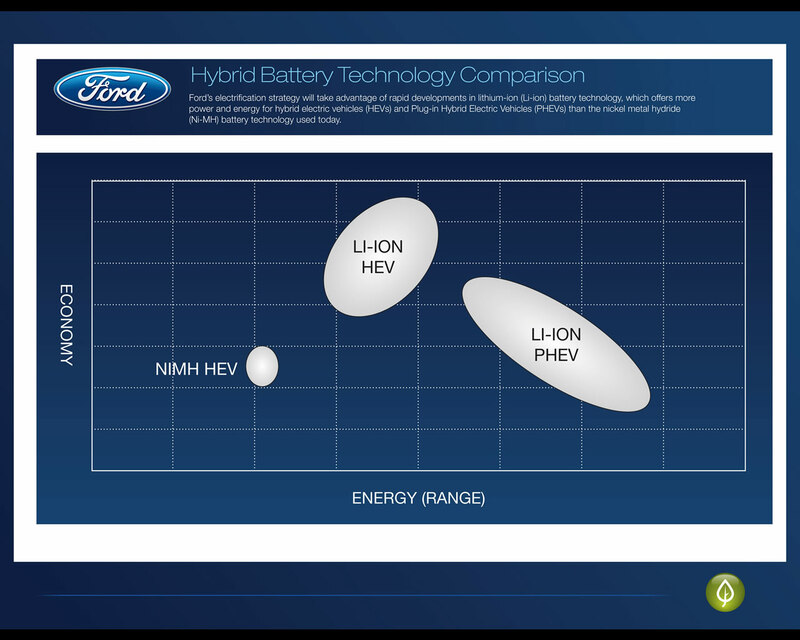 Ford can already point to the robustness of its hybrid technology with the Ford Escape Hybrid. In New York, some Escape Hybrid taxis have clocked more than 300.000 miles of reliable service. 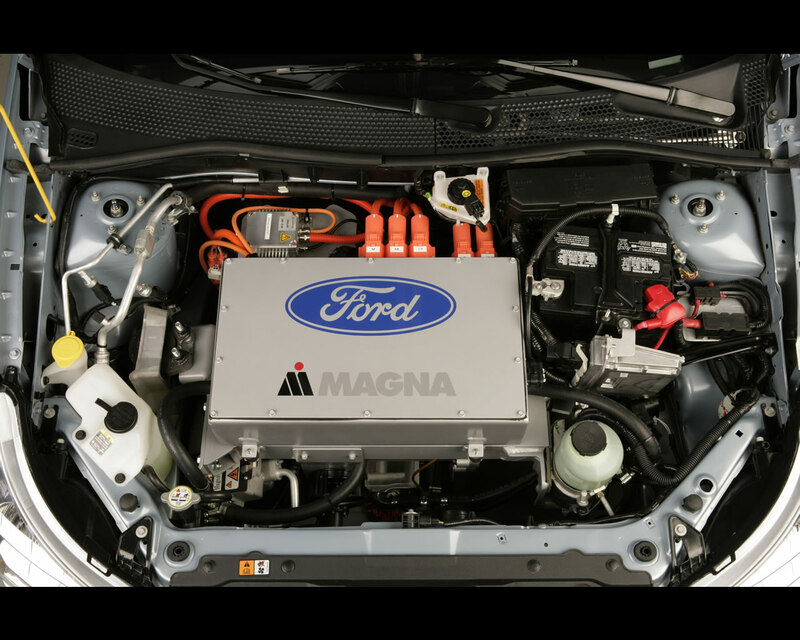 Under the skin of the Ford Focus test vehicle is an all-electric powertrain that will go into a Ford's new generation C-sized global vehicle platform. The Battery Electric Vehicle will first be introduced in North America, with the potential to migrate to the European and Asia Pacific markets down the road.